Makenna is a right-handed pitcher who throws in the mid-60’s and for her Blair Oaks (Wardsville, Missouri) High team and this year has been a strikeout machine posting double-digit strikeouts in 17 of her 21 games so far. Currently, she has the Lady Falcons back in the Class 2A semis which start Friday. Makenna earned 1st Team All-State honors last year highlighted by throwing a no-hitter in a semi-final playoff game in which she struck out 19 batters. She earned Gatorade Player of the Year honors a year ago and, after being committed to Oregon, had opened up her recruitment between the Ducks and Arizona State before deciding to sign with Oregon. Mackenzie has the speed at 2.7 home-to-first turn gap hits into extra bases as shown by her .421 batting average with 15 doubles for Mustang (Oklahoma) High. She led the prep team to a high school title last fall and during the summer continued her impressive offensive display as she had a .482 on-base percentage with 10 home runs, 13 doubles, an on-base percentage of .482 and swiped 29 bases a year ago. On defense, Mackenzie is fearless and has good instincts with the reflexes to go side-to-side and back and forth; once she fields the ball, she has a strong arm and quick release to throw out the fastest of runners. Mackenzie initially committed to Missouri but with the coaching change switched to Oklahoma to play for her home-state Sooners. Maci will be carrying on her family’s tradition of going to OSU as both her parents graduated from the Big 12 school. Maci, however, is blazing her own trail as she’s hit 26 home runs over the past two seasons for Warrensburg (Missouri) High and has also led her team on the mound as she’s earned Class 3 All-State honors. 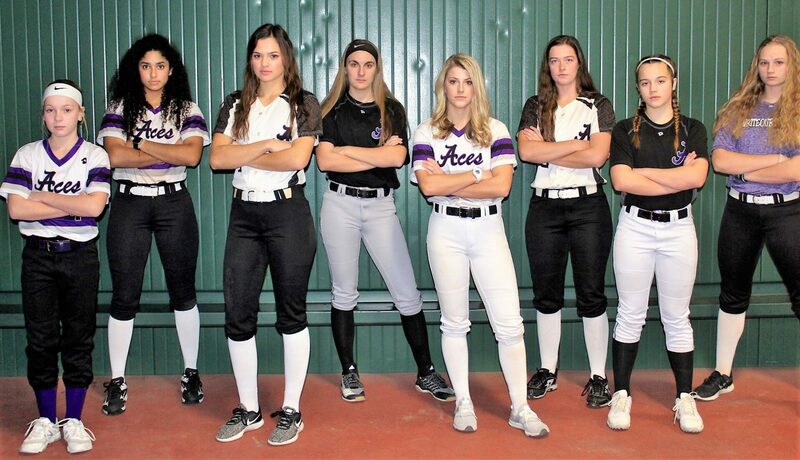 This summer for the Aces she showed that she has the speed to stretch any hit into extra bases as she hit 23 doubles, five triples and 12 home runs. She also stole 22 bases and ended up with 17 more extra base hits than singles. Not just a table setter, however, she is a clutch hitter as shown by her team-leading 51 RBIs. Megan looks to be a catcher in the SEC but her athleticism, fueled by years of being an elite soccer player, gives her the physical tools to play practically anywhere on the field. As a backstop, her pop time has been measured in the 1.6-range and she has 65 mph overhand speed. Megan had a big season for her Eureka (Missouri) High team as a junior batting .500 (47-for-94) with 13 home runs, 51 RBI and 16 steals to earn 1st Team All-State honors and this fall as a senior she’s hit .487 (38-for-78) with 11 home runs and 32 RBI with 18 steals in 28 games. After opening up her recruitment this summer with the coaching change at Mizzou, Megan decided to stay with the Tigers. She’ll follow in the footsteps of Ace alums Kendyll Bailey and Callie Martin, two former PGF All-Americans. Avery is the classic speedy outfielder who has a great first-step out of the box or in the grass to balls hit in the gaps. She has 2.68 home-to-first speed, putting pressure on infielders who know they have to make a clean transition if they’re going to throw her out. Avery is a triple threat who makes a read and adjustment based on what the defense gives her. For her Belton (Missouri) High team last fall she hit .547. In the outfield, her reads are good and with her quick burst she can cover a lot of turf plus she has the arm to keep runners honest. Avery is getting interest from Big 12, Big Ten and SEC programs who would love to plug her in to jump-start the offense and improve the defense. Cally is a Top 50 caliber pitcher who was on her way up the list of elite pitchers in the 2020 class when she suffered leg injuries in basketball that took away his summer but she’s rehabbing “fiercely” according to her club coach, Ryan Taylor, and should be back on the field by January. Her ceiling, as shown by what she did a year ago, is very high. As a freshman at Gravette (Arkansas) High, she set the school record with 331 K’s in a season and compiled a 0.53 ERA. She also batted .443 with 32 RBI which helped her earn 1st Team All-State honors. For the Aces 16U team, Cally had hit .425 with a .497 on-base percentage in the middle of the order. She’s also been clocked at 63 mph in one SEC camp and have visited several Pac-12, ACC and SEC schools before deciding to stay in-state. 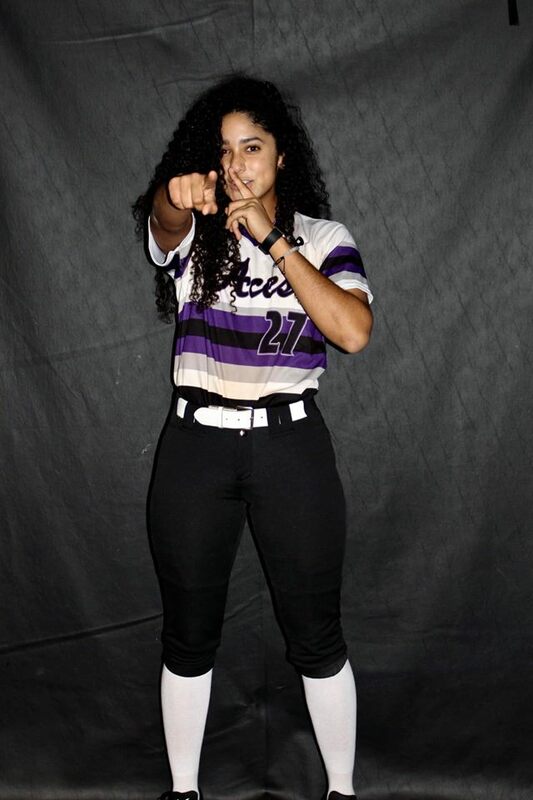 Mac is a power-pitcher who throws serious heat and has been clocked at 69 mph, but her ability to change speeds and throw swing-and-miss dropballs and riseballs is what makes her a dominating presence in the circle. Mac is a workhorse who can carry a team, but is also a fiery competitor who will always keep battling and maintain her composure. Said one club coach, “With Mac on the mound, there’s always a chance to win.” She commands the zone and isn’t afraid to come inside to make hitters uncomfortable. The sophomore rarely makes mistakes and you have to work hard to beat her; for example, in 245 innings of work last year she gave up only eight home runs. Mac helped lead Ryan Taylor’s team to Top 5 finishes at PGF Nationals and the World Fastpitch Championship and a 2nd place finish at Tulsa Elite. At the high school level, she was 2nd Team All-State after a strong fall campaign for Sherwood (Creighton, Missouri) High. Mac committed to the Sun Devils in February of 2018. For more on the outstanding pitcher, click HERE. TTatum has good pitching bloodlines as her mother, Sarah, was a standout pitcher for Kansas and Tatum is following in her footsteps. The lefty led Free State (Lawrence, Kansas) High to a Class 6A state title last may as she hit a home run to lead off the top of the first and then gave up only one hit and struck out seven to seal the win. In the circle, she’s a fiery, emotional leader who has excellent spins and the ability to make batters swing and miss, even when the ball is in the zone. At PGF last year she threw 35 innings with 68 K’s and had a 0.59 ERA. She also can hit and during her run at PGF batted .369 with six home runs. She was recruited by Big Ten, Big 12, Pac-12 and SEC schools before she chose to commit to Oklahoma State. Katie is a standout athlete who pitches in the low-to-mid-60’s and can lineup in the circle or at shortstop and make plays. She missed part of her freshman season at Bolivar (Missouri) High, but came back strong as a sophomore and earned 2nd Team All-State and 1st Team Class 3 All-Region honors. Katie can bat in the middle of the order and drive in runs or hit for a high average. She also has good speed and can take over a game at the plate, with her pitching or on defense. The Missouri sophomore had heavy interest from SEC, Pac-12 and Big 12 schools before she committed to the National Champion Seminoles. Riley is considered one of the top power bats in the class and when she squares up on the ball, it usually is for an extra base hit. She cranks up the gun regularly hitting balls with a 70-plus mph exit velocity and as an infielder has excellent feet and is instinctive and positions herself well to make the difficult plays look easy. A 1st Team All-State honoree at the Kansas 4A-II level, Riley has a strong arm and led her Galena High school team to a runner-up finish in the state finals. Lauren makes the list along with her sister Hannah, a pitcher/first baseman, which is rare to have two siblings in the same Elite 100 list. Lauren has great physical tools which include a 1.7 pop time measured at a Big Ten camp which suits her well behind the plate and she has the arm and instincts to play third base as well, but recently she’s been lining up at shortstop because of her natural instincts and footwork to make plays plus her talent at picking up the ball and creating proper angles. Offensively, she runs a 2.8 home-to-first and led the 14U Aces in batting average (.421) this year and tied for home runs and was second in RBI to 2021 P/IF Katie Brooks, an Elite 100 player herself. Lauren’s stock is on the rise and playing for the high-profile Aces she’ll have a lot of college choices before the year is over. Hannah is a lefty pitcher who has been consistently improving in her short three years in the circle. An impact player for the Aces, she’s consistently in the high 50’s-low 60’s, but it is the movement on her pitches combined with the look from the left that makes her uniquely effective. From strikeout to fieldable ground balls, the word “effective” comes to mind when watching Hannah work. She’s recently been tested against 18U teams with solid outings and when not pitching, she’s speedy enough to rotate out to the grass. Hitting naturally from the left side, power is her game offensively and she logged three dingers playing in a high school freshman tourney last year while still in the 7th grade, which was good enough to earn her All-State honors.